The Atlantic Film Festival is launching into its 37th year with a new name and big plans. From here on out, the annual event will be referred to as FIN: Atlantic International Film Festival. The festival teamed up with Revolve for the rebranding. 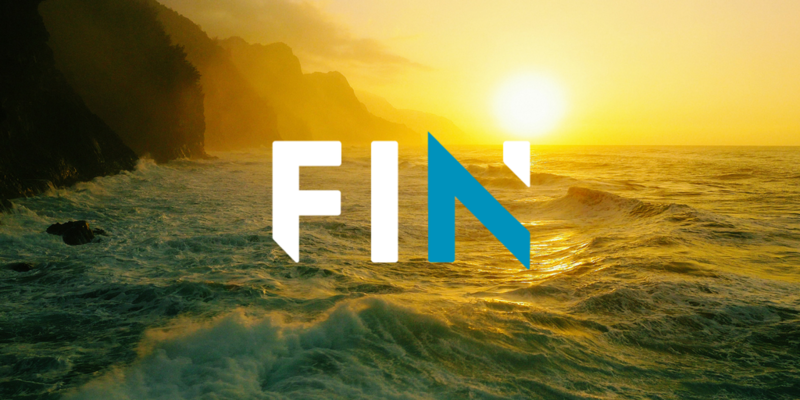 FIN doesn’t stand for anything, but festival director Wayne Carter says its meaning is dual: It references Halifax’s connection to the ocean, as well as giving a nod to the closing titles of international films. Ironically, says Carter, FIN is representing a new beginning for the festival. In an effort to make the films more accessible, FIN is partnering with Cineplex to take over Park Lane theatre for the duration of the festival. Every screen will be home to a movie that’s part of FIN. “It’s very exciting for us that people might potentially come in off the street, wanna see a movie, look at the schedule of films” and become part of the FIN audience “by accident,” says Carter. In the same vein, Carter hopes to encourage more young people to take in FIN. The festival’s opening night film has yet to be decided—that announcement is expected in July—but it will be in conjunction with Movie Nights Across Canada, a national program of Canadian film screenings happening for Canada 150. FIN is announcing its full festival line-up at the Lord Nelson Hotel on August 16. This year’s festival will take place from Sept. 14-21. For the future, Carter is setting his sights on the possibility of digital aspects to the festival so people outside Halifax can take part. The Oxford closed and the AFF rebranded, but festival hits and awards abounded. And then there’s Maudie.